Home » explore » GUIDE: How to Create and Download Masked Aadhaar Card? Aadhar Card is one of the significant Unique Identification Cards for Indian residents. It is utilized as a Govt. Identity Proof, as well as Address Proof and can be voluntarily submitted to avail services such as taking a sim card, creating a bank account, opening a gas cylinder connection etc. However, the security of aadhar card had been a factor for major concern since its launch. The Aadhar repository stores our photo, address, fingerprint and iris details and they are all linked to a 12 digit number. Hence, a lot of people criticized the sharing of Aadhar No to avail different services as they can be easily used in a way against us. 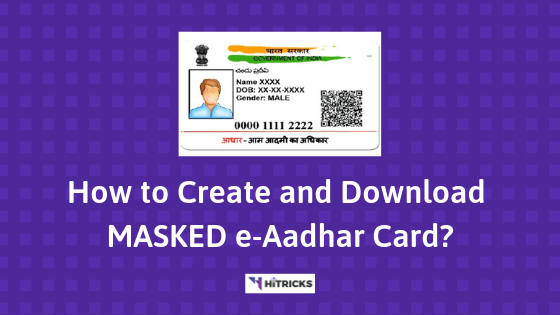 Today, in this post, we will discuss the Masked Aadhar, what is it, how you can create your own masked aadhar card and download it. As the name suggests, Masked Aadhar allows one to cover the 12-digit unique identity in the downloaded Aadhaar or e-Aadhaar. This solves the problem in cases where one doesn’t feel comfortable sharing their Aadhaar number. The UIDAI announced that the E-Aadhaar, which is a digital version of your Aadhaar, will be available in two formats: Regular and Masked Aaadhar. E-Aadhaar is password protected and digitally signed UIDAI. As per as the Aadhaar act, the e-Aadhaar is equally valid as the physical copy of Aadhaar for all purposes. In the ‘Masked Aadhaar’ options, the 12-digit unique identity will be, masked and only the last 4 digits will be shown hence sharing your e-Aadhaar will no longer be a problem. However other details like your photograph, demographic information and QR information will still be visible. So, it is an effective method to protect your Aadhar number, so that nobody can access your digital details from the aadhar repository. Why Masked Aadhaar is important? Masked Aadhaar protects us from the misuse of Aadhaar data. The next time a service provider asks for your Aadhaar card, you can just give your downloaded masked e-Aadhaar card which will ensure the safety of your information. Earlier the only security available was the biometric transaction. Addition of this new feature will also users more privacy and confidentiality of Aadhaar information. Not only it will hide the 12-digit unique identity but, it will also provide a Virtual Aadhaar ID (VID) number. 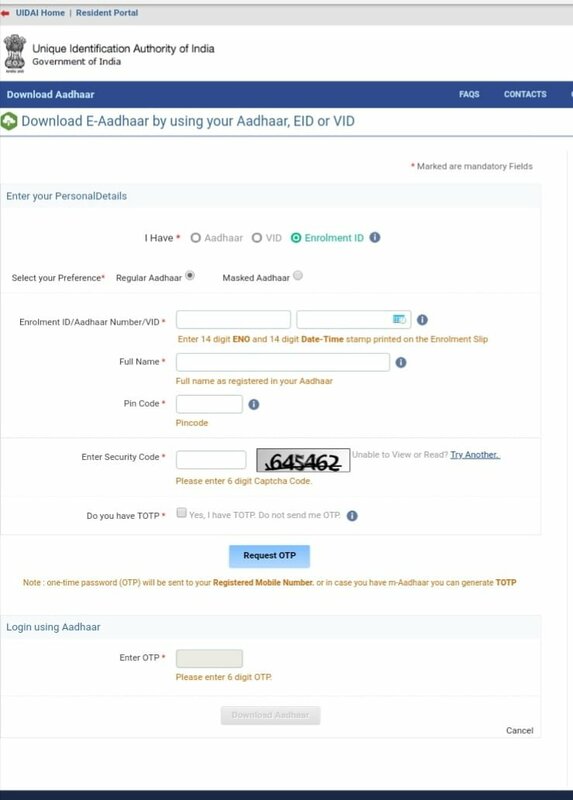 UIDAI is not only promoting the use of the Aadhaar Virtual ID (VID) but also added a new way of generating a VID number. VID is a single-use random number mapped out from your Aadhaar card and can be used instead of the Aadhaar number in the authentication input. Benefits of using Masked Aadhaar Card? It protects your Aadhaar card details. You can easily share them without worrying as the first eight digits will be masked. 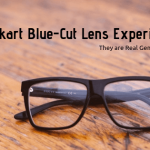 It can be used as proof of ID without using their Aadhaar number. Only QR code and demographic information is available. QR is not available in other documents like passport, PAN card or driving license and eliminates the risk of forgery and fraud of e-Aadhaar. The e-Aadhaar is equally valid as the physical copy of Aadhaar and is digitally signed by UIDAI. How to download your masked e-Aadhaar Card? Users who want to download the e-Aadhaar can do by going to UIDAI websites- https://uidai.gov.in/ or by visiting https://eaadhaar.uidai.gov.in. There are three ways to download e-Aadhaar. You can use the either use the 28-digit enrolment number or by the actual 12 digit Aadhaar number or using the virtual identification number (VID). Users can download the e-Aadhaar by using the 28-digit enrolment number, their name and pin code. In this process, an OTP is sent to the registered mobile number. Residents are can also use the TOTP (time-bound OTP) instead of the OTP. OTP can be generated by using the mAadhaar mobile app. Similar to the previous options, here residents have to use the 12-digit Aadhaar number along with their full name and PIN. In this process, an OTP is sent to the registered mobile number. 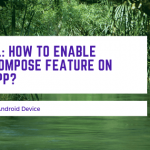 Residents are can also use the TOTP (time-bound OTP) instead of the OTP. TOTP can be generated by using the mAadhaar mobile app. Resident can also use the VIN to download their e-Aadhaar. Just follow the on-screen instructions and download your masked Aadhar Card. What is the e-Aadhar Password? The downloaded e-Aadhaar is password protected, and often it becomes very tricky for many users who don’t know how to open it. There are also no on-screen instructions for the same. The password of the e-Aadhar is of 8 (eight) characters. The first four characters are the first four letter of your name. The last four characters are your birth year. If your name is RAVINDRA KUMAR, and your birth year is 1980, then your e-Aadhar password will be RAVI1980. It is case sensitive. After you have opened the PDF, you can remove the password so that you can use the e-Aadhar anytime you want without hassle. Use any pdf password remover software online like I Love PDF to remove the password. Remember, your printed e-Aadhar is valid as your original Aadhar. Nobody can deny taking it as a verification document. That’s all about E-Aadhar and Masked Aadhar. I hope from now onwards you will feel safe while sharing your Aadhar details with anyone. If you have any queries regarding this, don’t forget to comment below. I will try my best to assist you. Don’t forget to share this article with your friends. Use the social share buttons below. That’s all for today. I will be back soon with another exciting update! Stay tuned, folks!